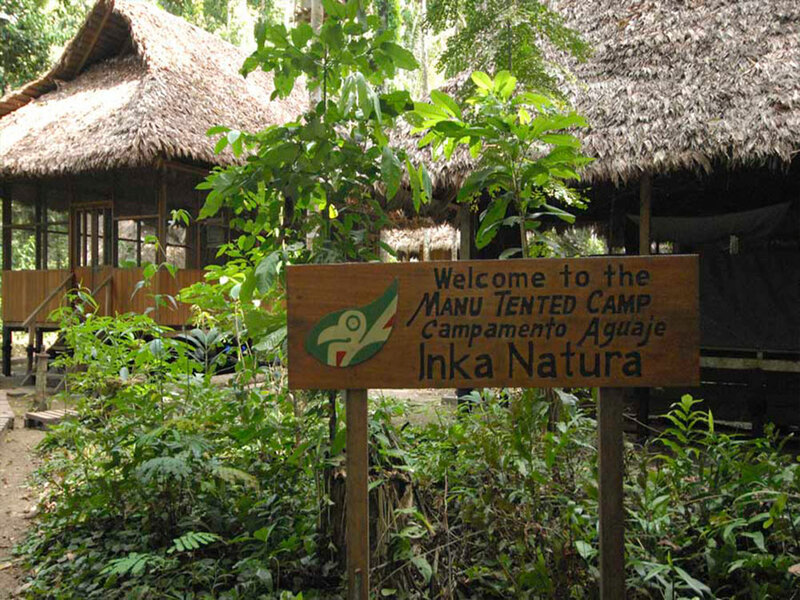 The Manu Tented Camp • Use the form below to contact us directly. 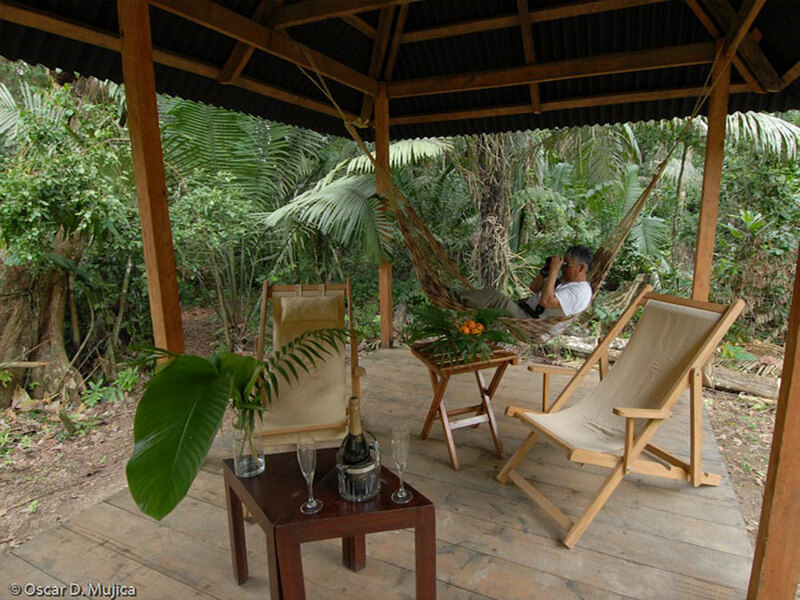 Fill in the fields to check availability & reserve direct with The Manu Tented Camp. 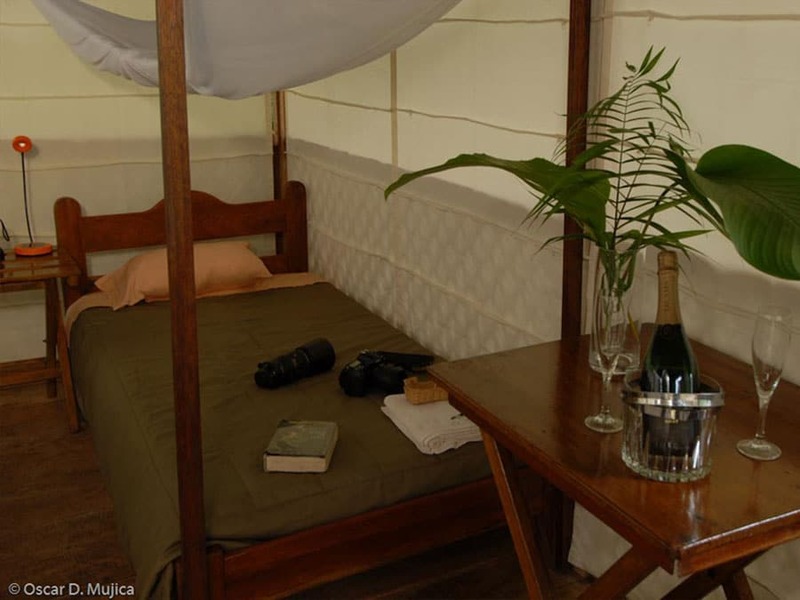 The Manu Tented Camp has a comfortable and simple construction designed to cause minimal impact on the surrounding environment. 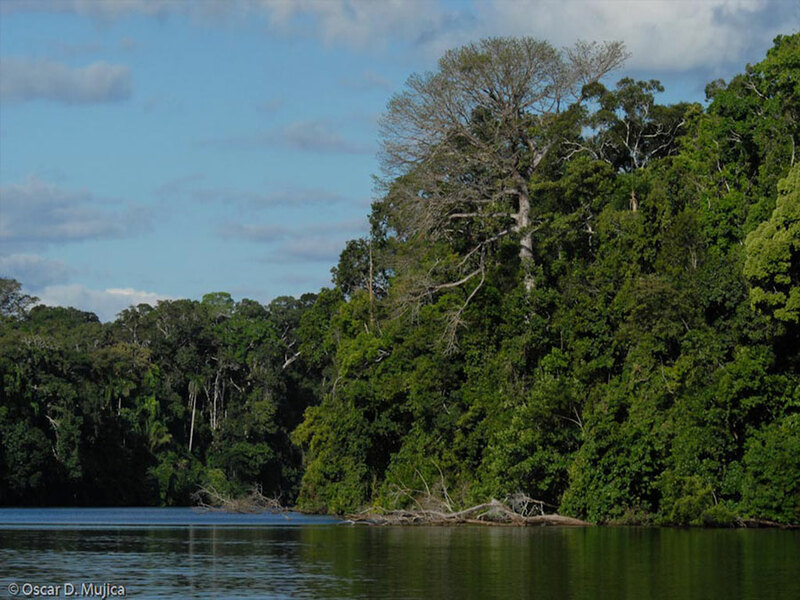 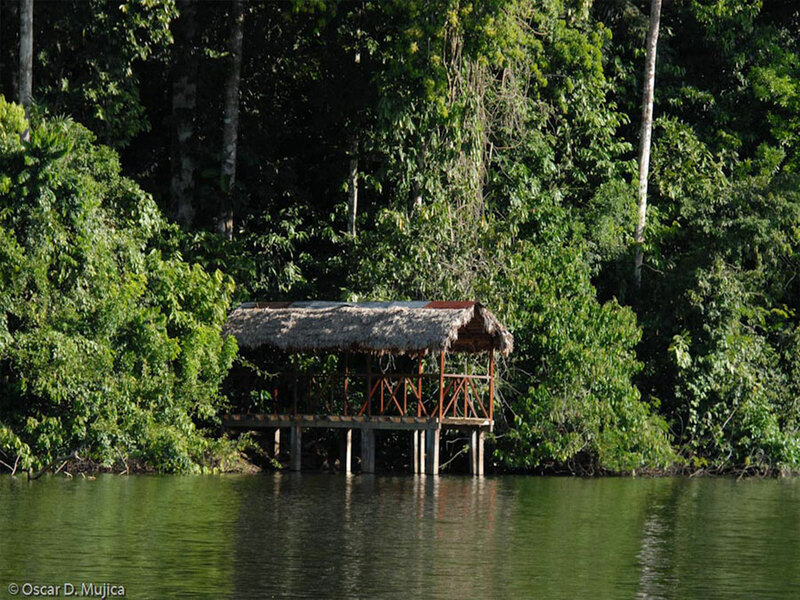 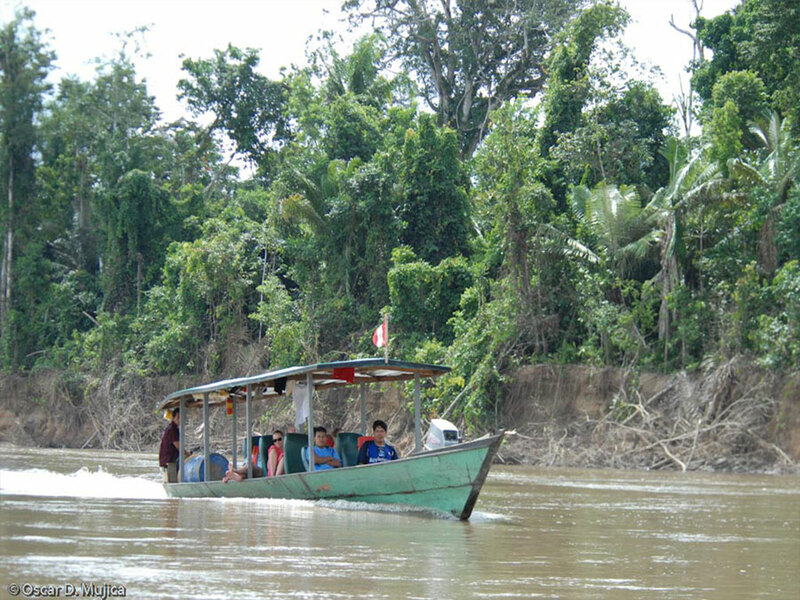 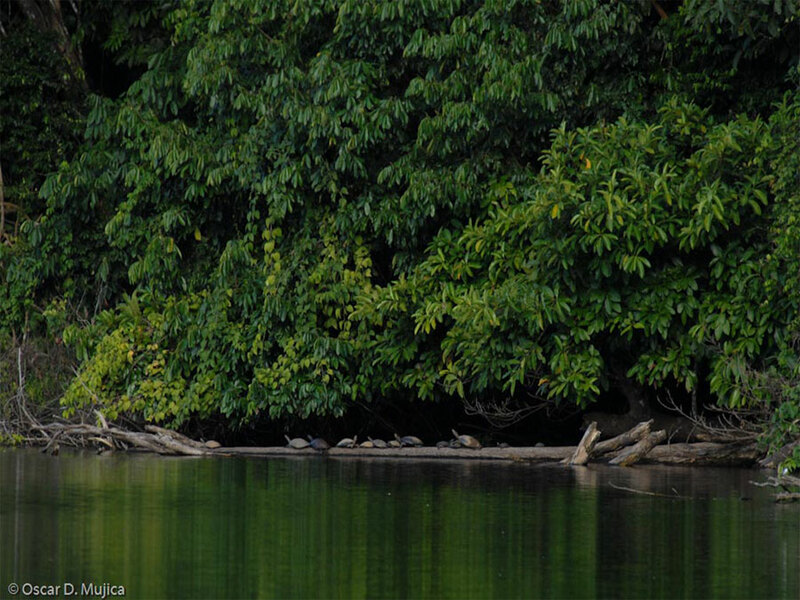 The camp is almost invisible in the forest and is located over the river from Manu’s main wildlife attractions, including Lake Salvador, the most picturesque oxbow lake in the Manu region. 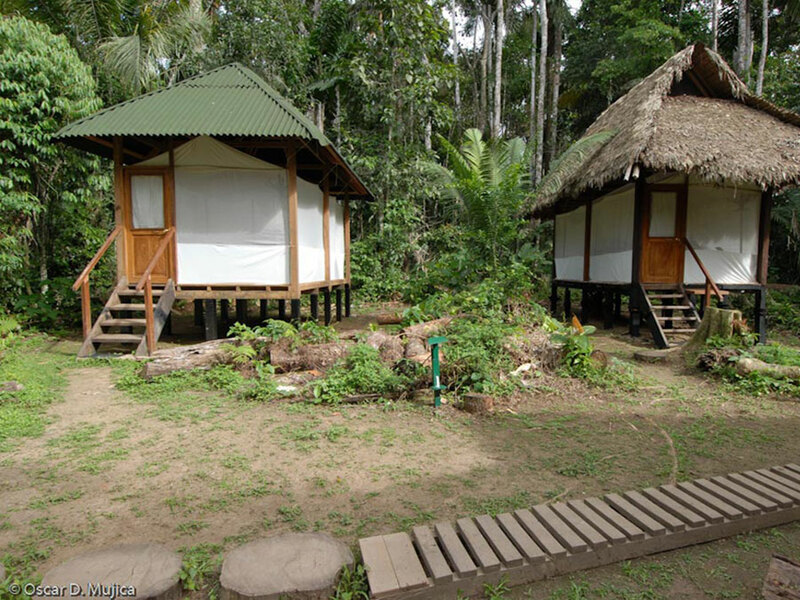 Composed of spacious 16.5x10x7 feet (5x3x2.2m) huts, the Manu Tented Camp is complete with lockable doors and solid wooden floors. 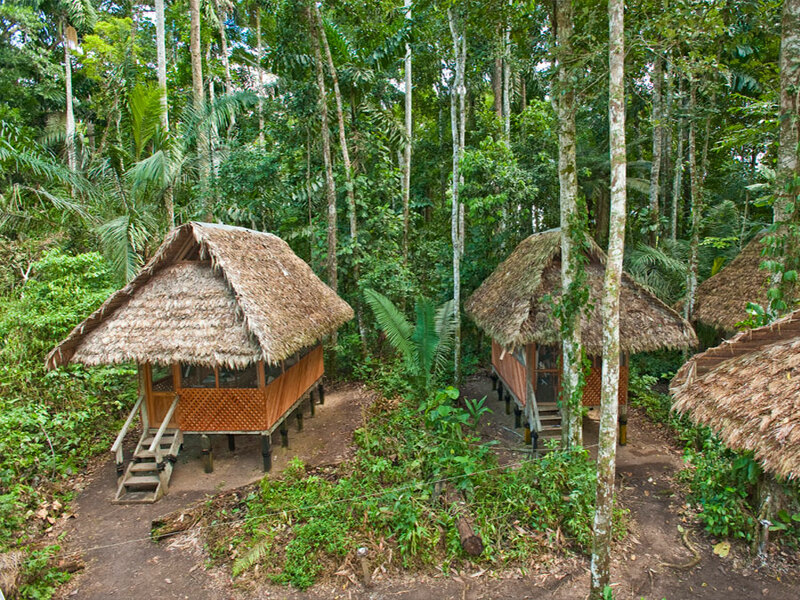 The camps are raised above the floor so animals can walk underneath as we minimize our impact on the forest. 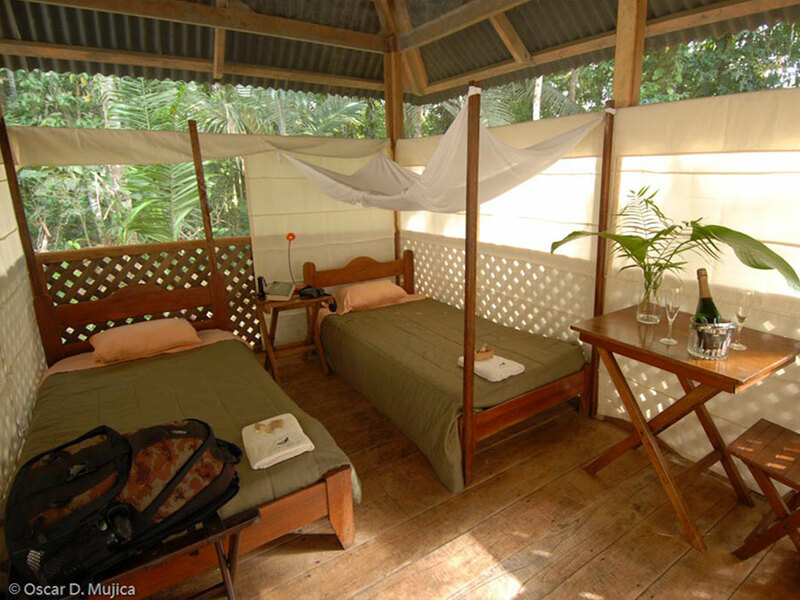 The huts offer protection from insects and are well ventilated, so you remain as cool as possible on your stay. 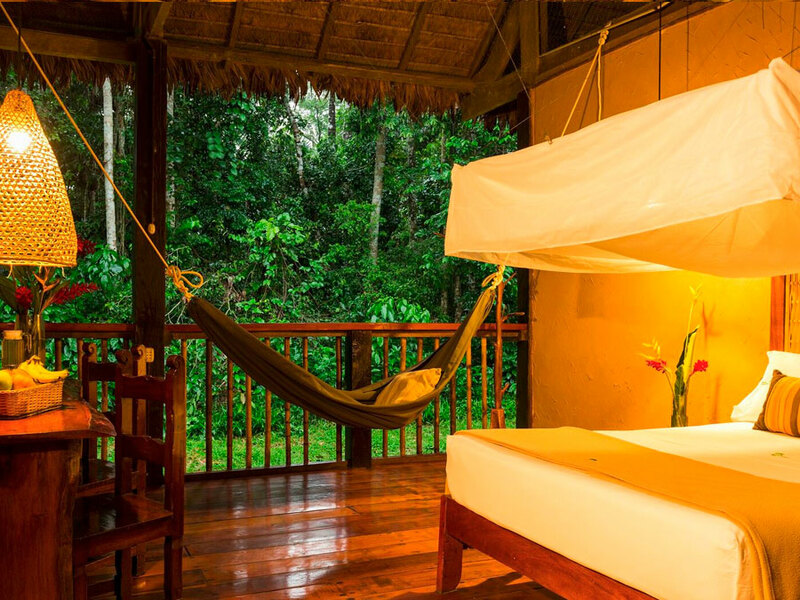 The Manu Tented Camp roof is composed of palm thatch and each bed is equipped with its own mosquito net to be doubly safe from insects. 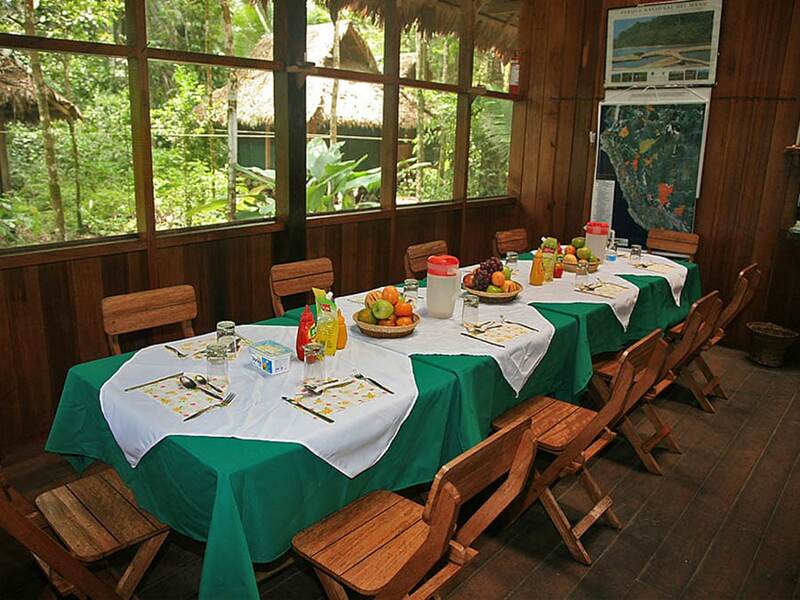 Each camp is then joined to the dining room, which also features insect protection and a wooden floor. 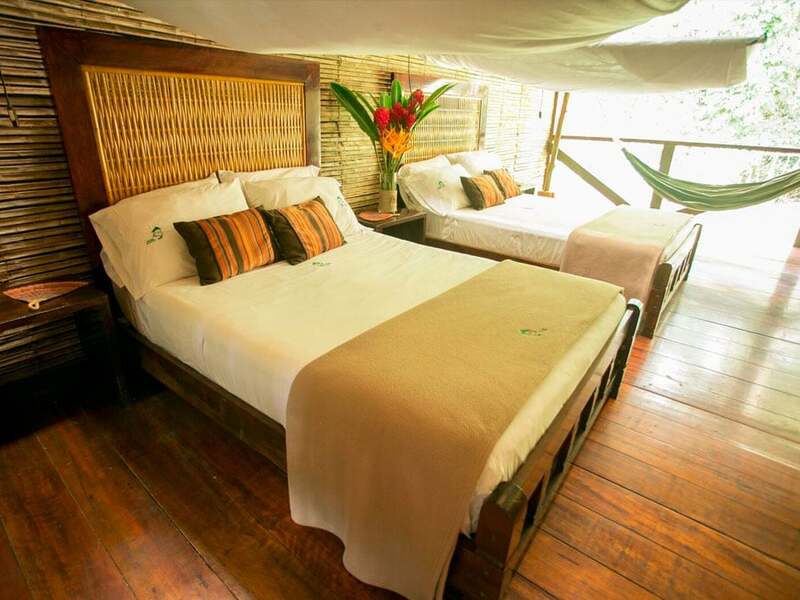 The bathrooms are located in a separate building and include hot-water showers and flushing toilets. 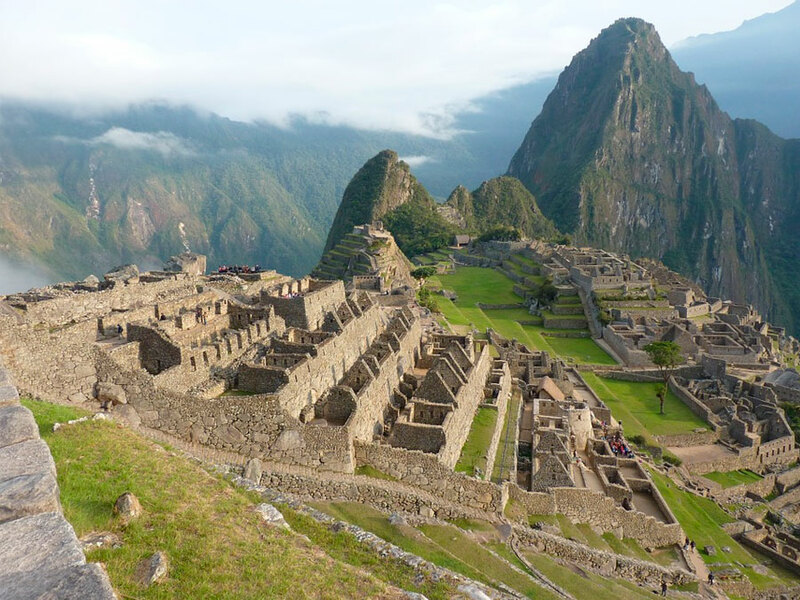 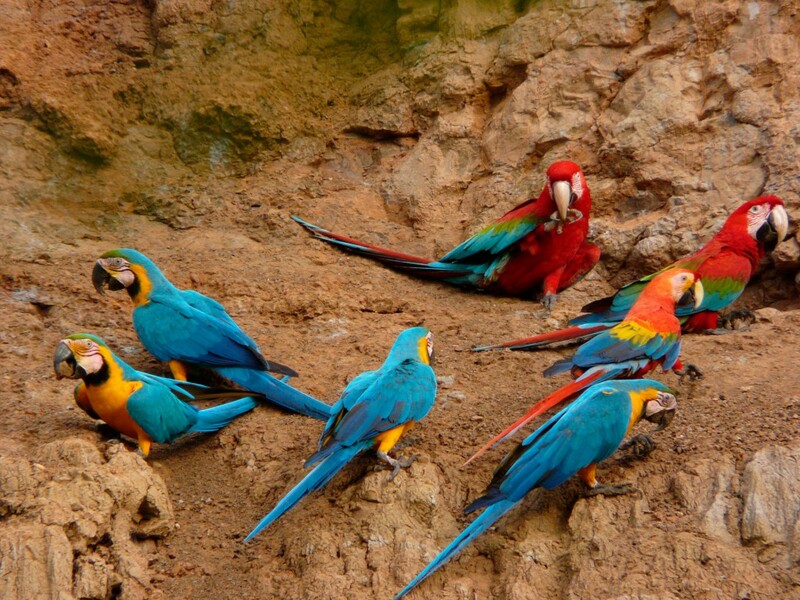 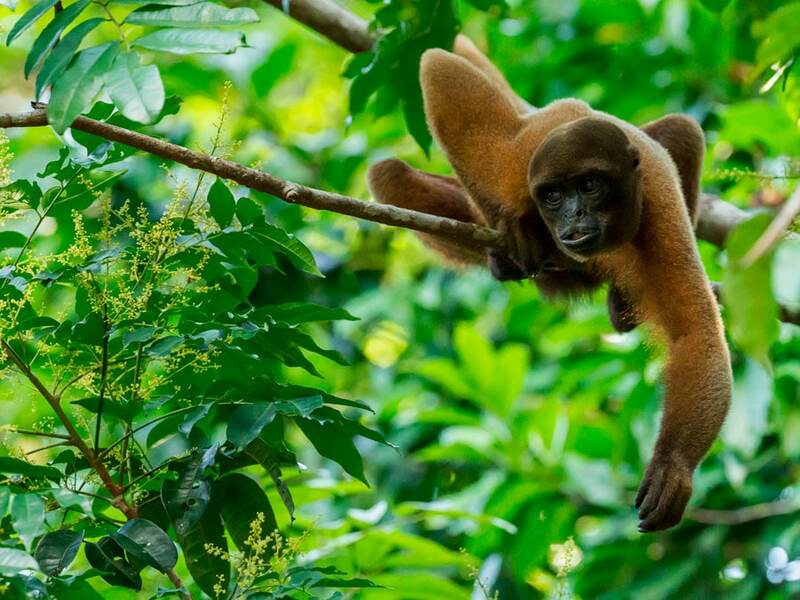 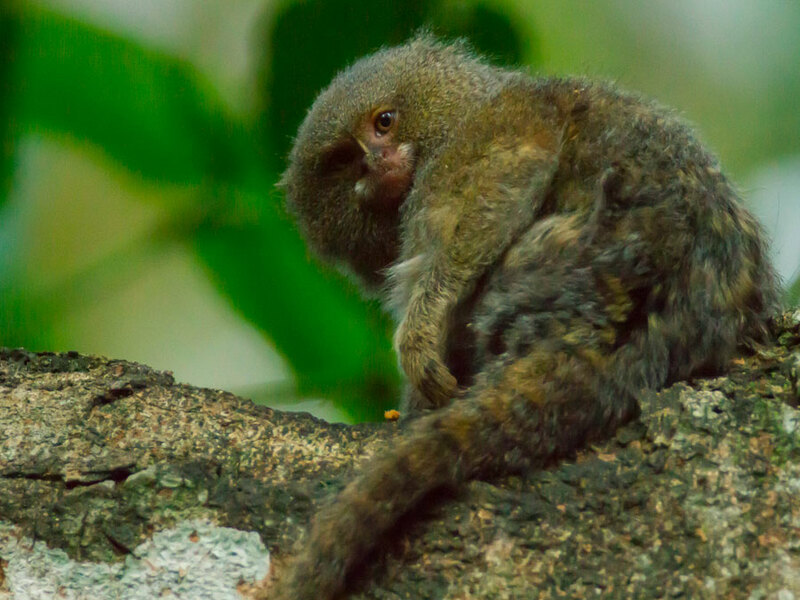 The largest and most untouched National Park in Peru, Manu is home to impressive wildlife, such as Giant River Otters, Caiman, 12 different Monkey, Capybara, and an incredible diversity of bird life.